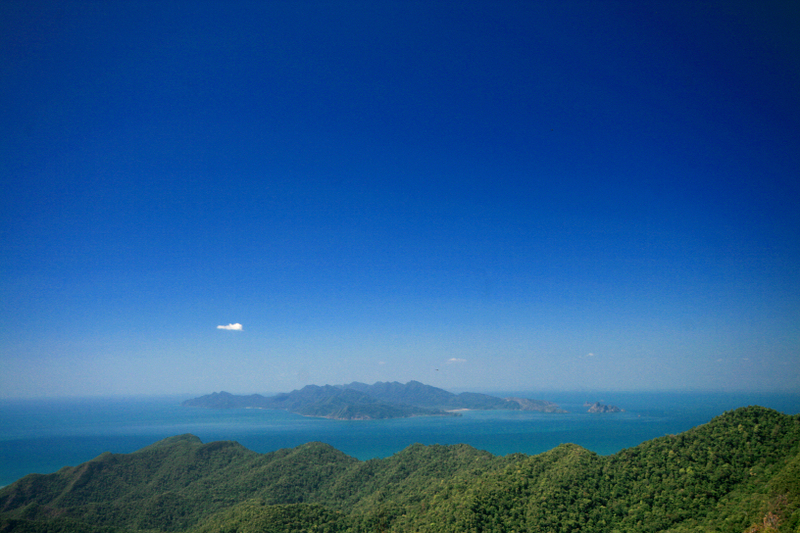 view of tarutao island, thailand from the peak of mount mat cincang, langkawi island, malaysia. 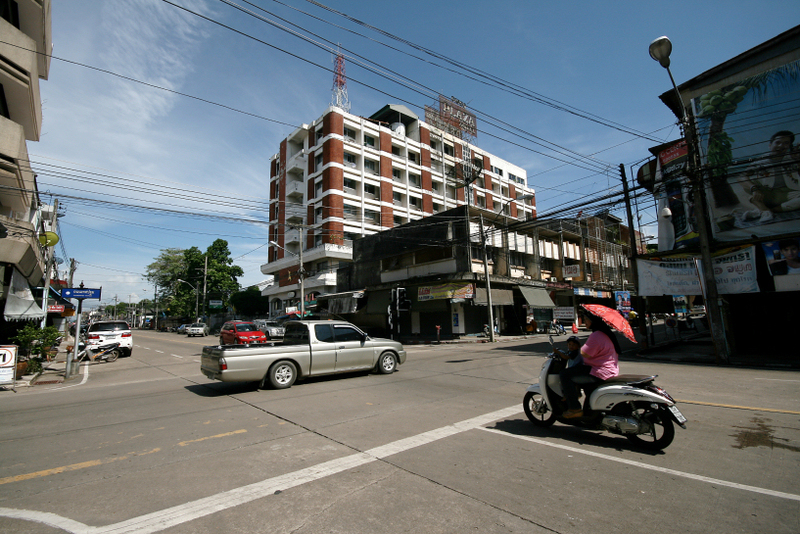 andaman sea february 2014.
light traffic at the intersection of thetpathom rd. and saritwong rd. on a monday noon in the extra clean but empty town centre of su-ngai kolok, thailand. formerly made famous by the nightlife entertainment it provides but lately more in the news because of the unrest the mujahideen activity brings. 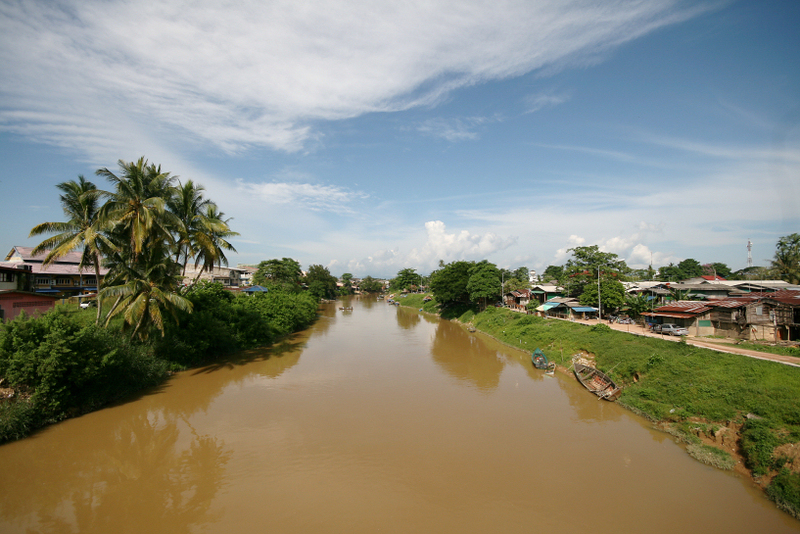 june 2011.
clear and clean view of the kolok river while looking southwest, taken from the pedestrian walkway of the harmony bridge that links rantau panjang in malaysia (left) and su-ngai kolok in thailand (right). june 2011.